“Premier Inn… I take it back.” You have reframed my thinking both for myself and for some clients I’ve been working with lately. Let me explain – it’s a great example of how our mental habits can hold us back day-to-day. The Premier Inn in Chelmsford I ended up staying at on short notice is brilliant. Due to a last minute change of plans, I was forced to take a booking here – despite preferring other hotels when away from home on business. At the risk of sounding like an arrogant snob, having the choice, I very deliberately stopped staying at Premier Inn and similar brands many years ago – it’s all part of lessening the drudgery of staying away from home and increasing my resilience in environments more conducive for resting, thinking, planning and working. 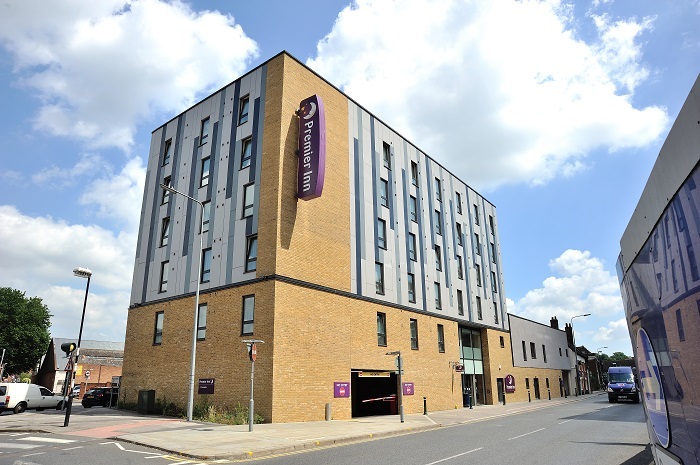 Why was the Premier Inn Chelmsford experience so noteworthy? One of the team there was on their Graduate Training Scheme, and waiting tables. Good to see they are making the trainee management experience every bit of the business from the ground up. The front-of-house staff were multi-skilling really well, by doing check out of guests AND hosting in the restaurant. The guy in the kitchen was cooking, serving and chatting to guests, too. It was all efficient and energetic. Another hotel I was in last week had one person to welcome you, another to take you to your table, another to take your tea/coffee/toast order and between them they were slow and muddled. The Premier Inn had Costa coffee, free wifi, the bacon was crispy, crumpets were available (always a bonus), there was a super-fast toaster (instead of the usual slow and anaemic versions), and the poached eggs were done in the time it takes to do poached eggs instead of cook a full roast. Simple stuff yet missed by so many premium hotel brands. The rooms have a special make-up mirror next to the wardrobe (thank goodness), a brilliant bathroom and bed, superb tv screen, easy-to-fathom light switches that don’t require a diploma to operate when all you want to do is sleep, easy tap room cards, super fast check in and check out, a decent choice of pillows, …yes, I was really impressed! Now this hotel is only three months old: a new style, and a new build operation. This must help in general terms, but it doesn’t explain the turnaround in engagement from their staff. It’s all pretty simple stuff. Throwing more money at an organisation is not always necessary to create incredible changes: in fact I see it regularly make things worse. More resources thrown at a problem can mean more lazy thinking, lower productivity and complacency. What would you do in your organisation or your team or your department, if you only had half the budget? What would you have to do radically differently? What could you do, that you’re not at the moment? Who would need to advise you, if you only had half the budget, who doesn’t advise you now? Who could you turn to who has the ability to see your situation through completely different eyes? What are you doing within your company or cross-industry that means you’re exposed to new disciplines, different insights, fresh cultures? Mentoring, secondments, job swaps, networking, charity work, pro-bono advising, and reading books outside of your core interest? All contribute value, cost virtually nothing, yet regularly fall through the cracks. Some organisations develop a stressed feeling of not being able to see how any new, exciting efficiencies can be made – they can’t see the wood for the trees – so do more of the same, but more intensively. Following my stay at the Premier Inn Chelmsford I’ve started to review my budgeting for 2016 and where I target my time in running my business. I’m back in Chelmsford next year – I know where I’ll be staying. Sadly, I know there are plenty of this hotel chain I still wouldn’t touch with a barge pole – but I hope they continue on this path with their new model. On the theme of creating amazing results on a shoe string. I’ll be doing a future blog on the Bridgwater College Motorsport Team – who are local to where I live. Their story is quite remarkable. They won their Championship last year. ‘Less is more’ is a mantra that certainly applies to them with loads of learnings that can be applied anywhere.